Microwave and Dishwasher safe. 12 oz. 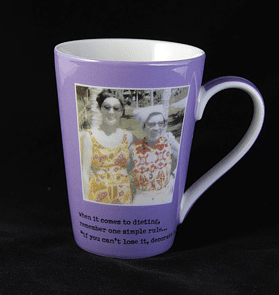 porcelain mug featuring words to live by, "when it comes to dieting, remember one simple rule... if you can't lose it decorate it."